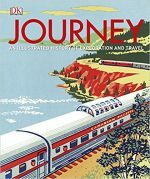 The following are some of my favourite travel books of the year, plus coffee-table books that would make good Christmas presents for travellers. One of the objectives of Deskbound Traveller (see the “About” page) is to broaden notions of what constitutes travel writing, so you will find here a collection of poetry plus a work (Among the Summer Snows) that others might label “nature writing”. The books are in no particular order — though the first two mentioned are especially timely. I’ve already reviewed many of them on this site and/or in the pages of The Daily Telegraph. The border of the title is the zone where Bulgaria, Greece and Turkey run into one another, which in Cold War days was “Europe’s southernmost Iron Curtain”. Twenty-five years after leaving Bulgaria, where she grew up under communism, Kassabova returns to see what has become of the villages and towns that were military strongholds, the rivers and forests that were off limits. Her account is about fences both on the ground and in the head; about the frontiers between the real and the imagined, between the scientifically proven and the remotely possible. There are happenings that might be from the pages of García Márquez and there’s a cast of characters that wouldn’t disgrace Dickens: border guards and people smugglers, refugees and ritual fire-walkers, spymasters who have retired and faith healers who are never out of work. Border is not just a topical book but an urgent one, for it spells out the human consequences of nationalism and totalitarianism; of a narrow focus on identity and ethnicity; of divisions and fences and walls designed to keep “them” from “us”. In the run-up to that referendum on EU membership, Carr, who is a mapmaker as well as a writer, walked and canoed the currently barely noticeable division between Northern Ireland and the Republic of Ireland. It’s a border that, since the signing of the Good Friday Agreement in 1998, has lost watchtowers and bunkers and softened. Post Brexit, though, it will be not just an Irish frontier but a European one, and no one seems to know how that can be made to work. Carr suggests that Ireland is more divided than any of us suspected — not in two but in three: north, south and borderland. That third state, with its frontier-slipping people, springs to life in his pages. All travelling, Nick Hunt argues, is an act of following something: coastline, trading route, border — or footprints, as he did for his debut, retracing the 1930s walk of Patrick Leigh Fermor from the Hook of Holland to the Golden Horn. He decided to follow four named winds across Europe because their routes seemed to be the only ones that hadn’t been written-out. There are reasons for this, the obvious one being that it’s damned hard to describe the invisible. And what do you do if the wind doesn’t blow? Hunt, on his journey through landscape and legend, science and superstition, proves more than equal to the challenge. He dares, and he wins. Christopher Nicholson admits that “Snow has no quantifiable value; if you hold a piece in your hands it soon tells you what it’s worth by turning to water and running away.” For him, though, its survival in the Highlands in summer, its rareness and improbability, has become a singular passion. He chronicles walks on which he seeks it out under cliffs and crags, in clefts and corries, and ponders its meaning. A glorious little book (just over 160 pages), beautifully produced by an independent publisher. Billy Collins, former poet laureate of the United States, says that most of his work is voiced by a reclusive fellow who likes to look out the window: “I do quite a bit of travel, but I keep writing poems about the bird-feeder.” If André Naffis-Sahely is looking out a window, it’s likely to be on a train or a plane. He’s a travelling poet, a border-crossing bard. This impressive first collection, in which he takes us from his birthplace of Venice to Abu Dhabi, where he grew up, and then from London to North America, is both an admission of wanderlust and an acknowledgment of the insecurities it brings. As Lewis Blackwell, chair of the judges, puts it, the pictures his team have selected, 100 from nearly 49,000 entries, constitute “a book of wonders…and sometimes horror”. The wonders include a lobster larva, just half an inch across, perched like a jockey on a stinger jellyfish; two bear cubs, eyes on the salmon in their mother’s mouth, waiting for their share; and an image of the lower nine-tenths of an iceberg dwarfing a team of divers, made over three days and of 147 frames stitched together. Among the horrors are the winning image, of a black rhino — a species critically endangered — lying in a park in South Africa after being shot and having its horns hacked off. Aerial photography is not exactly new: the photographer known as “Nadar” (Gaspard-Félix Tournachon) went up in a balloon to document the rooflines of the French village of Petit-Bicêtre in 1858. But it has never been as widespread or as cheap to practise as it is today, thanks to the development of the drone and the quadcopter. 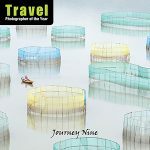 This book is a collection of the best images submitted to the website Dronestagram, set up in 2013 by another French pioneer, the entrepreneur Eric Dupin. Embracing locations from Antarctica to Vietnam, and subjects from wildlife to weddings, it is curated by the renowned picture editor Ayperi Karabuda Ecer, who doesn’t dodge the question of the threat posed by drones to privacy, safety and security. 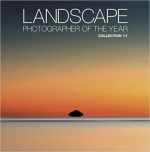 All winning and commended entries in the annual competition for the best photographs of the British landscape are included in this 224-page book, along with the photographers’ accounts of how their images were made. Among the customary reports of repeated visits, early-morning climbs and frozen fingers, there are references to “flying over the field” or “up to 100 metres”. A striking number of entries were taken using drones, revealing, for example, trees planted in such a way that they form a giant “X” and fields that look like circuit boards. One of the two portfolios that won Joel Santos, from Portugal, the title of Travel Photographer of the Year 2016 — depicting the landscapes of Ethiopia’s Danakil Depression — was the first TPOTY winner to be shot using a drone-mounted camera. The other, a series of portraits of a Ghanaian fisherman, was from ground — or, rather, water — level. 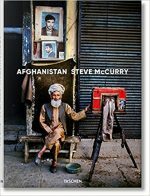 Both are included here, with the best of the work submitted by professional and amateur photographers from more than 120 countries, ranging in subject from desert dunes in Egypt to a snow storm in New York; from a Cuban taxi driver to Sámi reindeer racers. This survey of mankind on the move, which starts with the ancient world and finishes with the age of flight, has already been overtaken by events. Its consideration of forced movements ends with the Second World War, but by the end of 2016 the number of people seeking safety across international borders as refugees had topped 22.5 million, the highest number seen since the UN High Commission for Refugees was founded in 1950. Otherwise, apart from a slightly tabloid tone (“Carthaginian general Hannibal Barca”), it’s a beautifully produced introduction, embracing everything from the trading voyages of the Minoans to the Hippie Trail, with digressions on topics from slave ships to souvenirs. 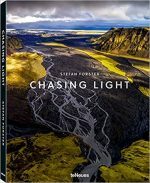 At 18, Stefan Forster, who is Swiss, set off with his first camera, a tent, a sleeping bag and 13 days’ provisions to photograph the southern plateau of Iceland. In the 10 years or so since he has kayaked along the west coast of Greenland, camped in the forests of Alaska and Canada, and come close to being killed by a volcano in Indonesia. As one of my aims on this site is to promote not just what’s topical but what’s timelessly good, let me remind you of one of my favourite books from 2013: Four Fields by Tim Dee (now in Vintage paperback); you can still read an extract on Deskbound Traveller.